Cape May Cafe has a really cute merry-go-round-like, saltwater taffy, cotton-candy, care-free, summer beach-day fun look about it (most of those things are not actually part of the buffet, I'm just describing the environment). 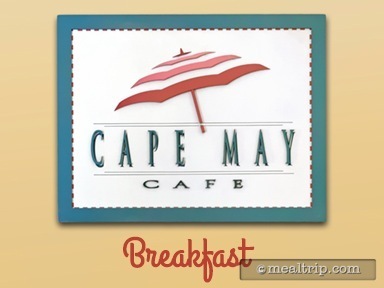 Cape May is a buffet, but only a character buffet at breakfast. Minnie's Beach Bash Breakfast, features Minnie and usually a few other members of the "Fab Five" all dressed in their colorful New England-style beachwear. (There's no set schedule for which members of the Fab Five will be there, other than Minnie). This is one of the few buffet locations where characters may still have the time and space to sign autographs, but like all character buffets, there's plenty of time for photos! Food-wise the all you care to eat breakfast buffet is mostly American cuisine (eggs, bacon, sausage, breakfast potatoes, etc. ), and not really any nods to seafood. 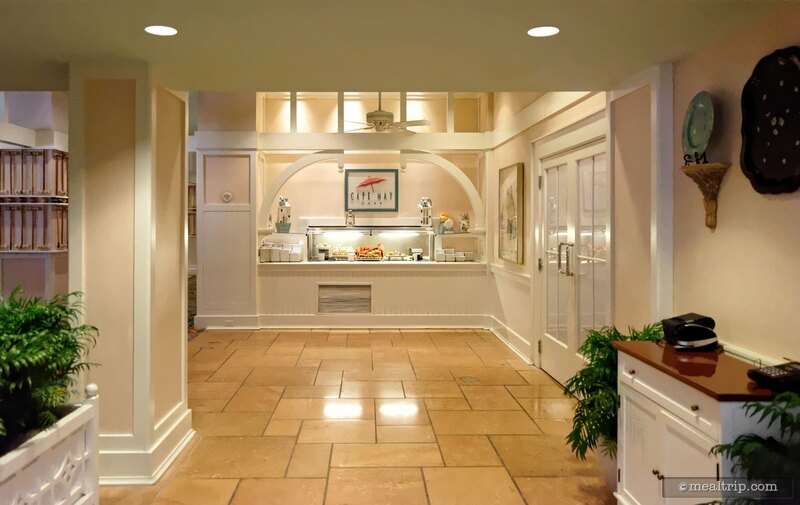 The morning pastries here (danishes, croissants and such) always seem to be plentiful, good and fresh at Cape May.